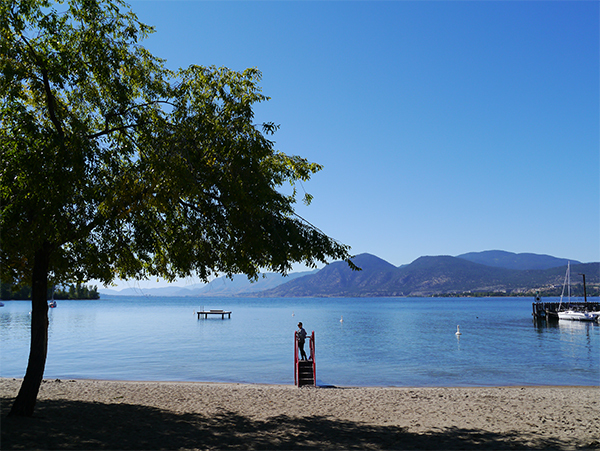 Looking at these summery and sun-soaked photos, it's hard to believe that it's only been a few short weeks since we got married and went on our mini-moon in Naramata. 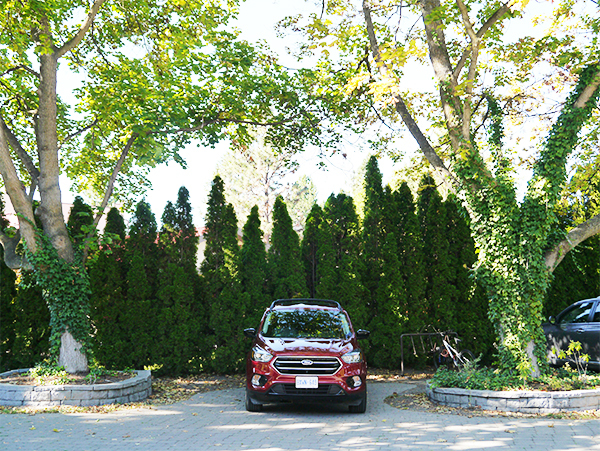 The 3-night getaway proved to be the perfect transition between the excitement of our nuptials and the humdrum reality of everyday, and it was made even sweeter thanks to Ford Canada, who generously loaned us a brand new Ford Escape for the duration of the trip. All the details on our trip and our impressions of the Escape after the jump! 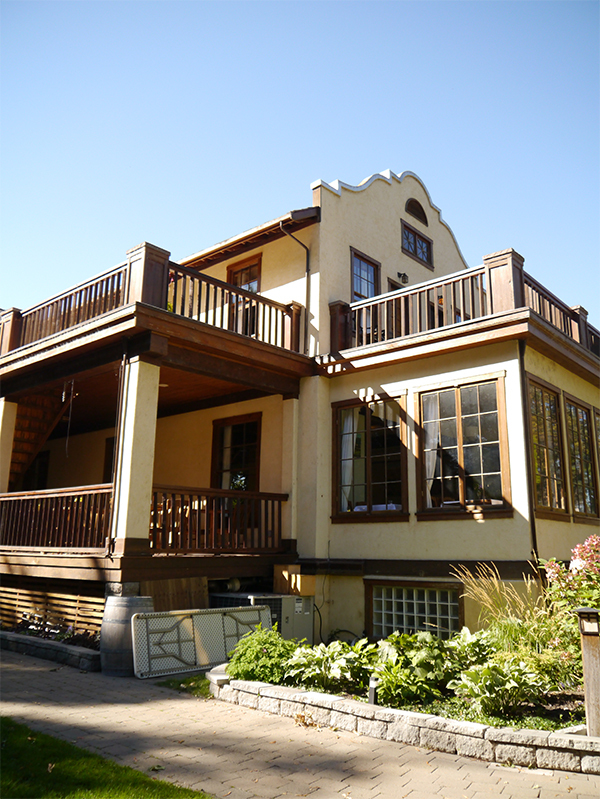 Because this was our first trip ever to Naramata and our mini-moon, I splurged a little and booked a room at the Naramata Heritage Inn & Spa. 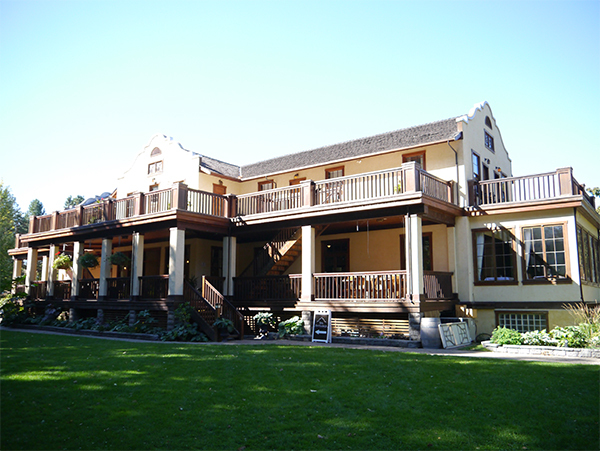 The California-style heritage building is surrounded by trees and right in the midst of Naramata's major vineyards, and yes, it's exactly as charming and romantic as it sounds. 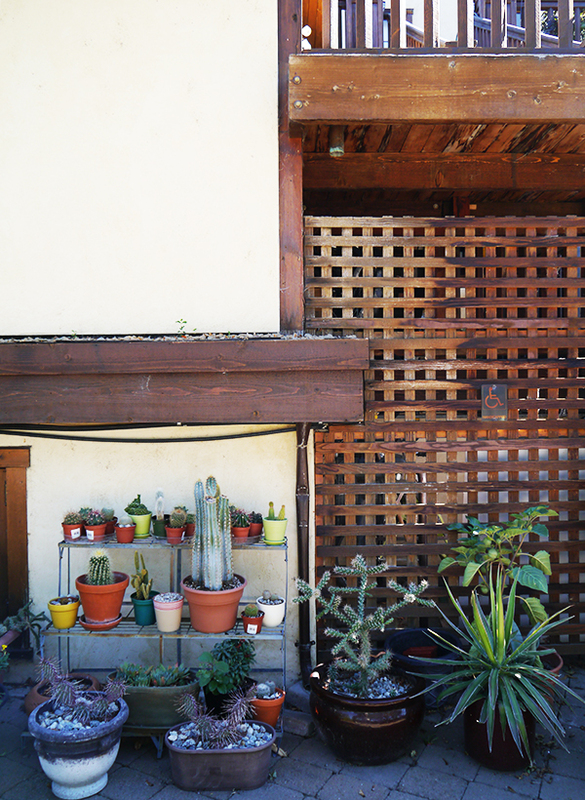 Spacious porches and cozy nooks abound (perfect for cozying up with a book and a glass of wine! ); a delicious complimentary breakfast buffet is served every morning in the dining room; and there's a notable fine dining restaurant, the Rock Oven, downstairs. When we made the booking, I also opted to buy a spa voucher (a $100 value for the price of $85) for the Melt Mineral Spa downstairs, which we redeemed for a relaxing couples massage. 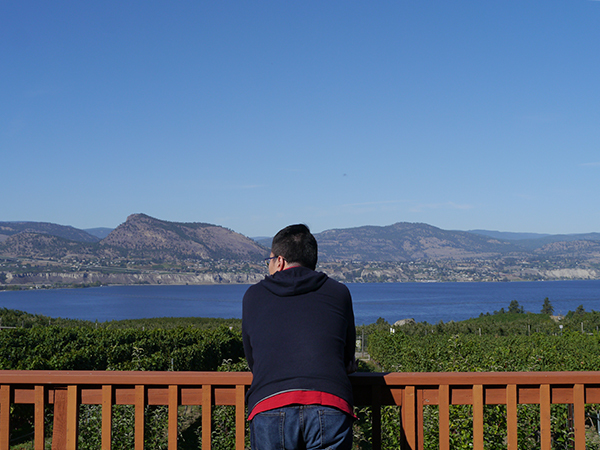 Confession: Even though the husband and I were in BC wine country, he doesn't drink wine because it aggravates an underlying health condition and I'm not a heavy partaker myself. 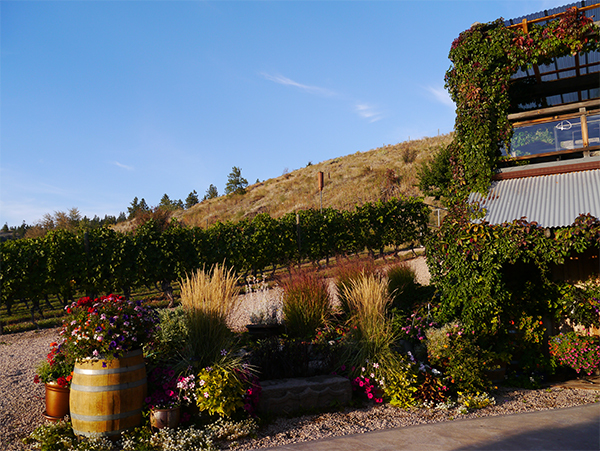 Consequently, the only wine tasting we ended up doing was at JoieFarm Winery, whose wines and tasting room charmed us just as much as its red farmhouse, picnic amenities, and views of Okanagan Lake. 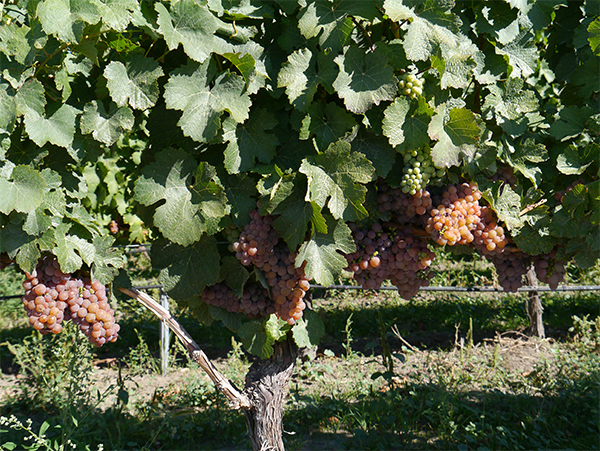 If wine and wine tastings are your thing though, there are so many wineries for you to tour in the area, and a quick Google search of "Naramata wine tours" will turn up quite a few guided tours and shuttles. 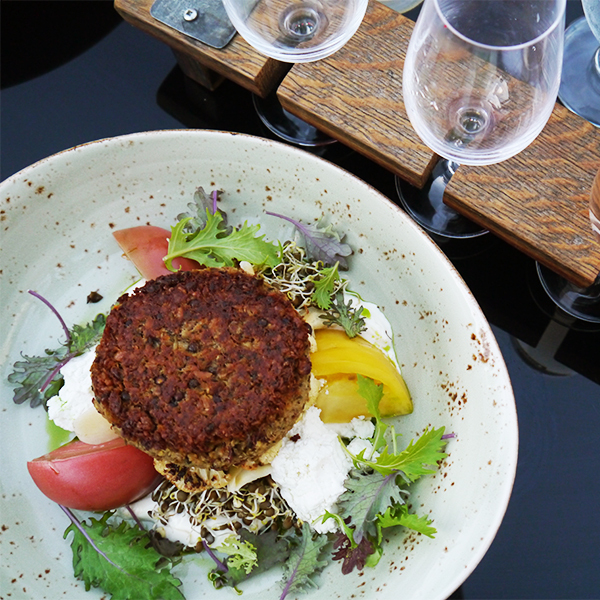 Fact: Food just tastes better with a good glass of wine and spectacular scenery, which is why we made lunch reservations at The Vanilla Pod Restaurant at Poplar Grove Winery. 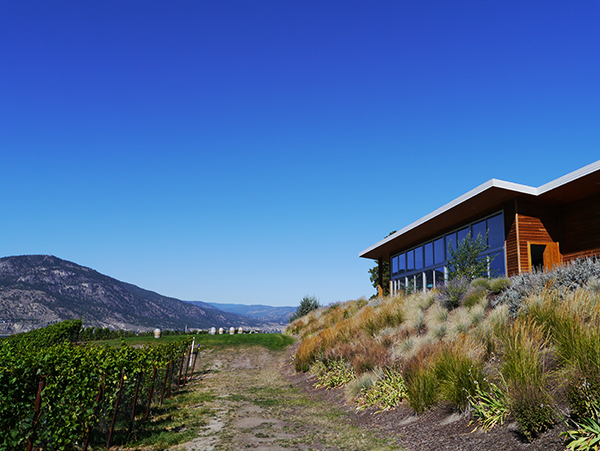 The modern tasting room and restaurant are perched right at the top of a hill, and the outdoor space and floor-to-ceiling windows offer sweeping views of Okanagan Lake from all sides. 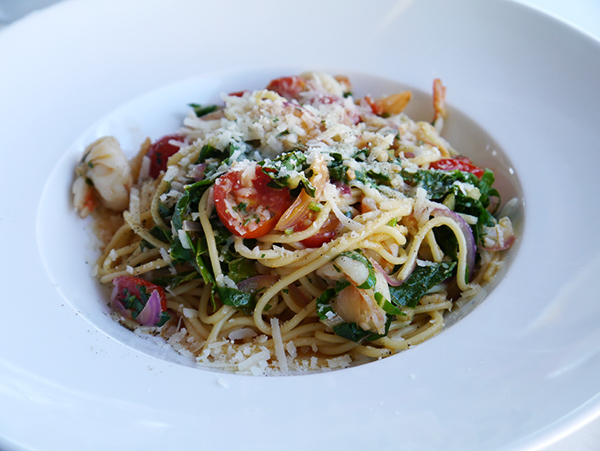 The pasta I ordered—which had prawns, cherry tomatoes, and tons of fresh basil—complemented my glass of Poplar Grove white perfectly. 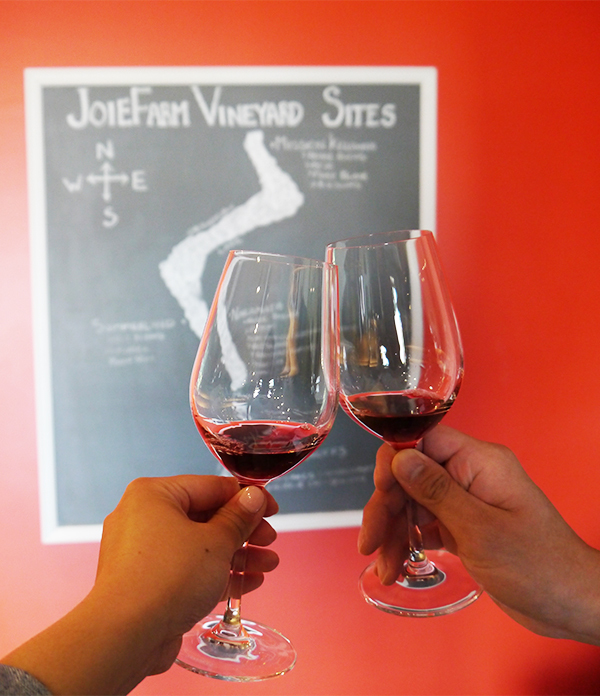 The husband really enjoyed lunch at JoieFarm Winery: They have a wood-fired oven on premises and a picnic area next to the tasting room, with tables, deck chairs, and picnic blankets for guests. 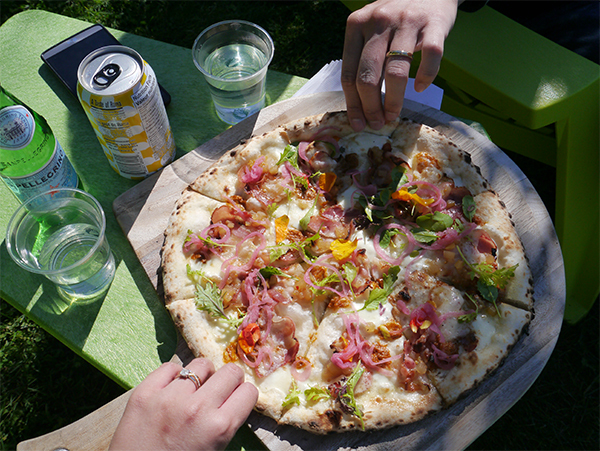 We split a pear and pancetta pizza fresh from the oven, and then German-style pretzels with mustard and ham, while basking in the sun. When it was time to go, we took advantage of the picturesque surroundings and snapped a few selfies among the vines. 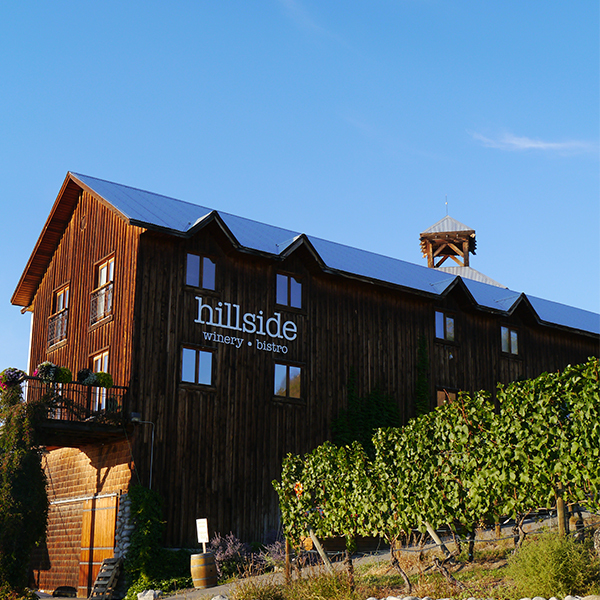 Our last and favourite meal of the trip was dinner at Hillside Winery and Bistro. The food was wonderful—flavourful, balanced, seasonal—and each course had a suggested wine pairing. (I opted for a wine tasting flight to go with my meal so I could enjoy all the suggested pairings without blowing my budget or getting too sloshed.) 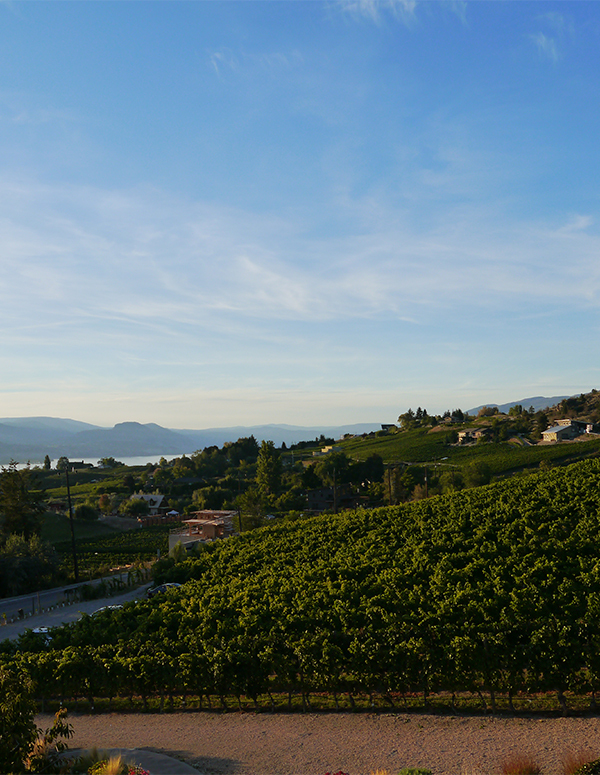 In between courses and before it got too dark, we ventured up the winery's tower to enjoy the sunset views. If you do go to Hillside for dinner, I suggest bringing a jacket (it can get chilly on September evenings). Also, don't be alarmed by the friendly and very harmless bats flitting about in the dark—we really enjoyed watching them fly around over coffee and dessert. 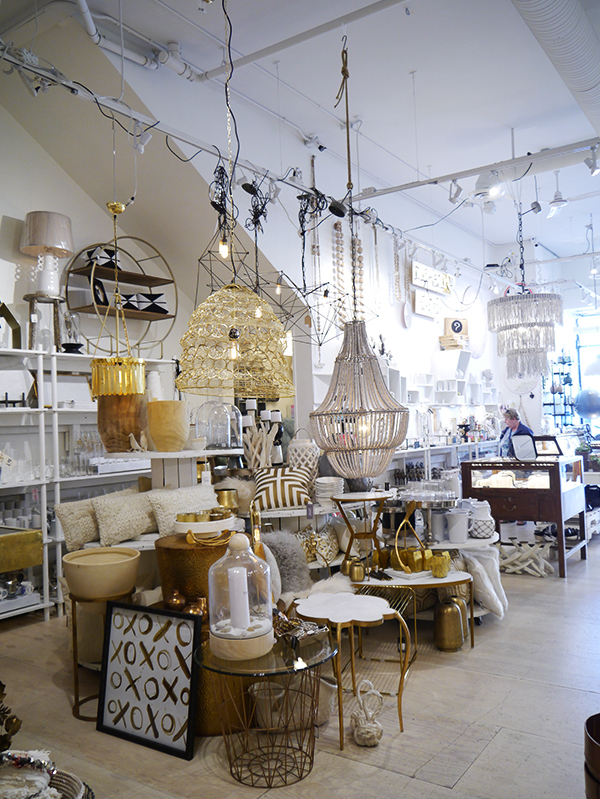 Just an hour away from Naramata, downtown Kelowna has cute home decor stores aplenty. 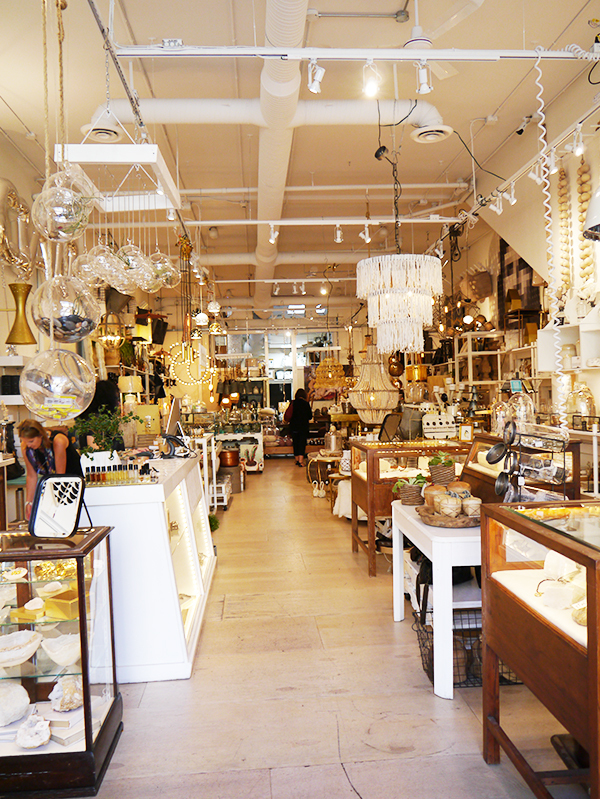 Alchemy was my favourite because it was so beautiful and every corner seemed to be stuffed with Pinterest-worthy treasures; I spent a lot of time there. 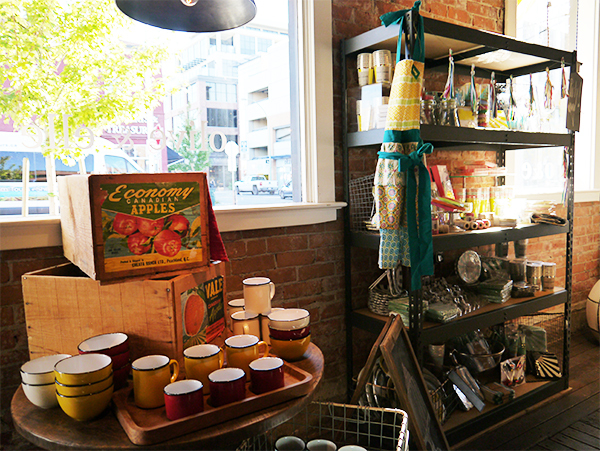 Lakehouse Home Store had lovely cookware and neat kitchen gadgets, including a high-tech French press invented by a couple of Vancouver-based engineers. 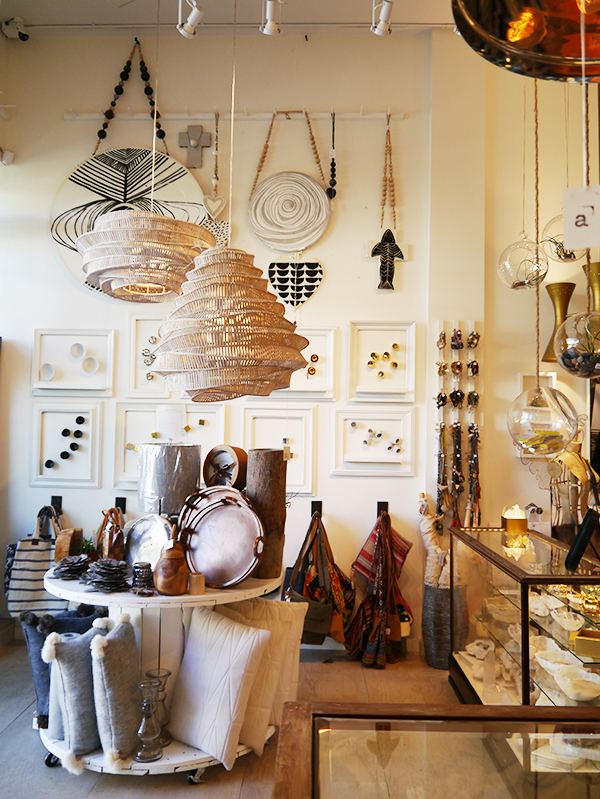 Finally, Olive & Elle reminded me of the home decor stores I found in Portland, Maine—full of the sort of obscure finds that make people ask "Where did you get that?" 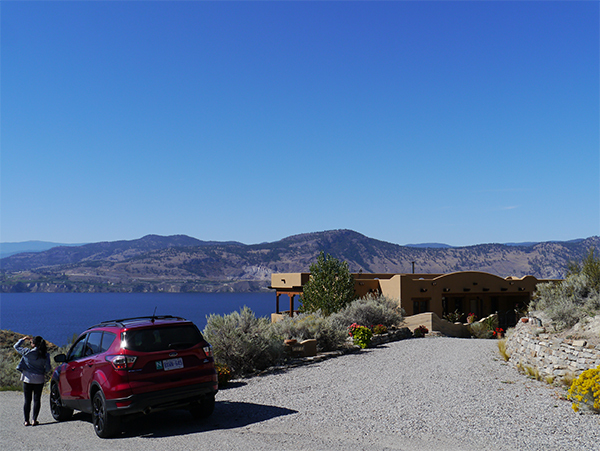 To get to and from Naramata and all the lovely little places in-between, we drove around in the cherry red Escape lent to us by Ford Canada—that is, the husband drove while I was in the passenger seat in charge of snacks and pit stops. ;-) Having this car honestly made our road trip that much better and more comfortable. We left Vancouver a little too late in the day and got caught in rush-hour traffic, so it took twice as long as normal to get out of the Lower Mainland. However, having access to satellite radio and Spotify playlists made the unusually long drive more bearable as we grooved to Motown and 80s tunes. The husband loved how easy to use the touchscreen and Ford SYNC technology were, especially the GPS. It provided just-in-time instructions and helped us find our hotel on a winding road, in a strange town, in pitch black darkness. 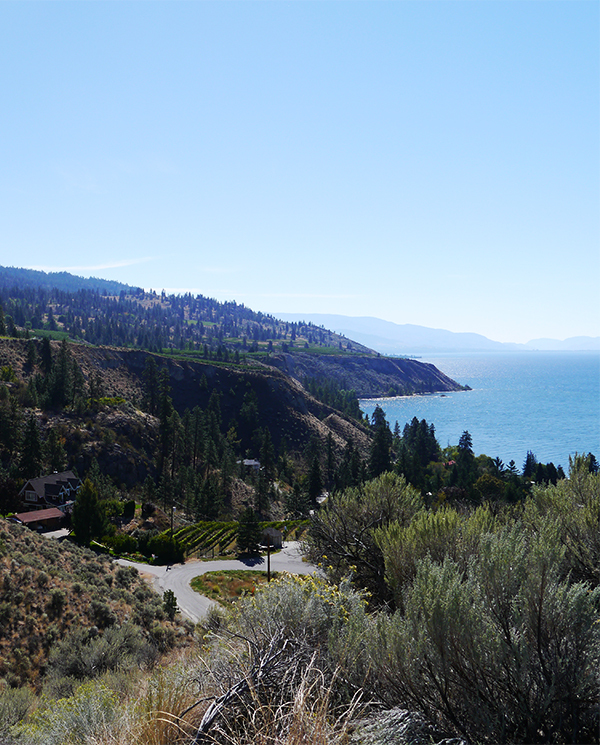 During the day, when we realized how beautiful Naramata's roads were—with the blue waters of Okanagan Lake on one side and the sloping vineyards and orchards and desert brush on the other—the husband would program addresses into the GPS just so he could enjoy the scenic drives to these random destinations. That's how we ended up on Indian Rock Road admiring the views and the gorgeous million-dollar homes (seriously, #realestategoals right there). 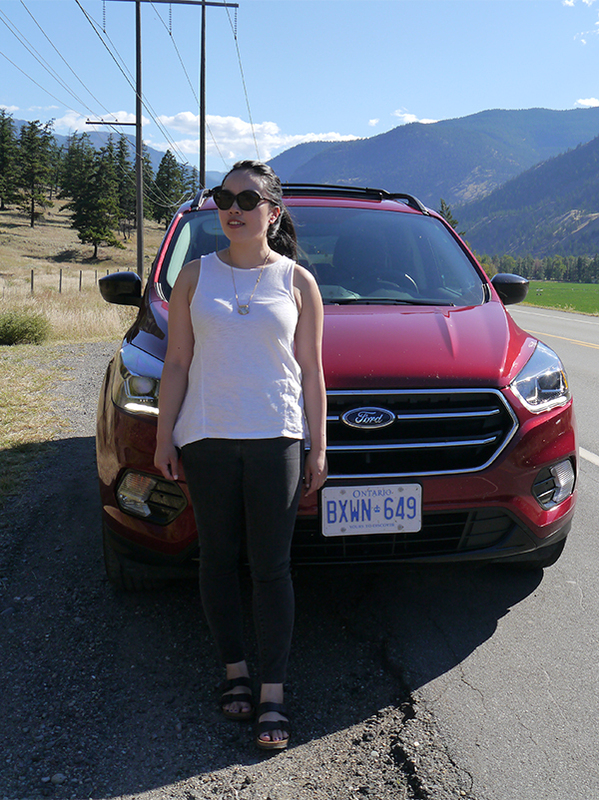 As a passenger, I appreciated the Escape's roomy and comfortable interior; the adjustable cup holders that kept our coffee cups secure; the wide compartments on the doors big enough for all our water bottles and road trip snacks; and the car's height which, compared to the compact the husband usually drives, allowed me to take some pretty cool Instagram Stories videos. The drive home through the Similkameen Valley was definitely bittersweet. On one hand, we enjoyed the desert-like landscapes, the intense heat of the sun, and the charming fruit stands offering everything from the season's last cherries to squash, beefsteak tomatoes, and small-batch preserves. On the other hand, it marked the end of the trip and our time in the Escape. 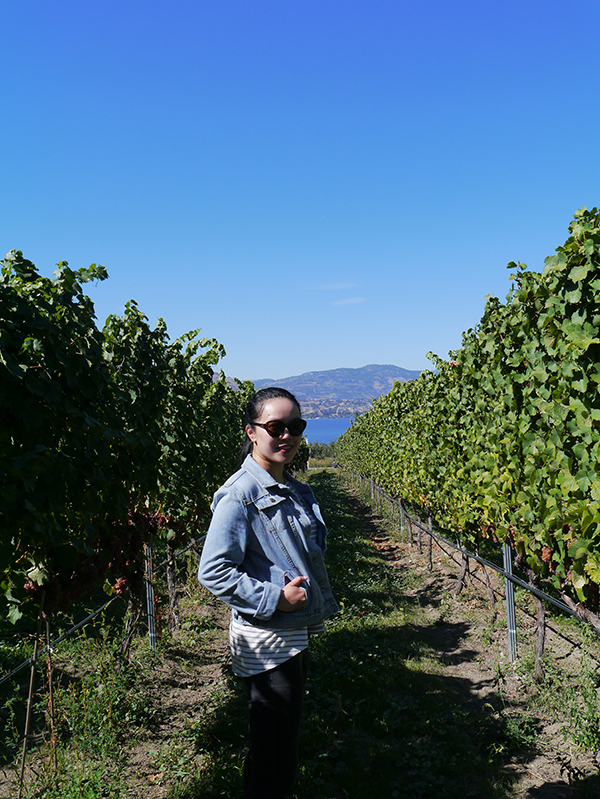 We'll definitely return to Naramata though—maybe for our one-year anniversary? 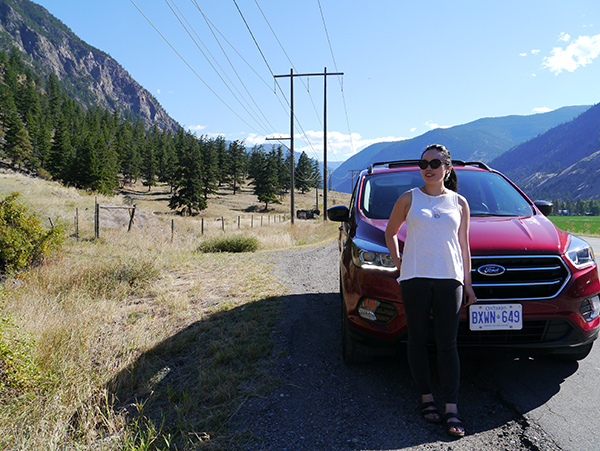 Special thanks to Ford Canada for lending us the Escape for this trip. All opinions are my own.